Pick a topic and we’ll pick the best. Email us your ideas! 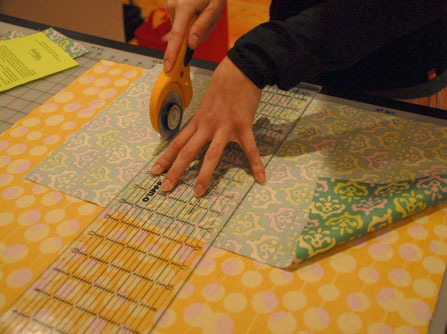 Without notions, quilting would be a laborious task (well, more than it already is…) These useful objects are the tools that make your sewing more efficient, more accurate and ultimately more fun! 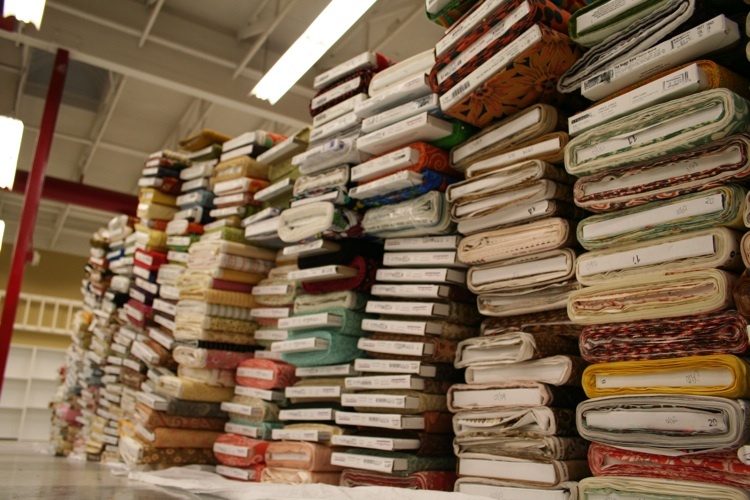 As a quilt shop, we do our best to carry all the top notions — both the essentials and the unique ones that help you with some of the more advanced techniques. Our girls have tried it all, and through years of trial and error we’ve found the best of the best. So here’s our list of the top ten essential notions. You aren’t livin’ life to the fullest if you don’t have one of each of these. Trust us — they will make a difference! 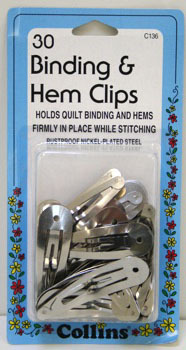 These snips are lightweight, have a curved blade and are super easy to use. 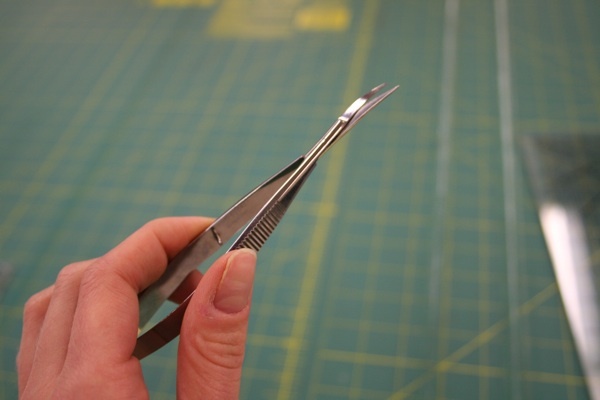 Unlike most snips, you don’t have to search for the finger-holes. Just pick ’em up and squeeze! These comfy cutters come in 45mm or 60mm sizes and have fantastic safety features. When not in the “locked” position, these cutters only expose the blade when you squeeze the trigger to cut. The advantage of an extra sharp blade? Quick, clean cut edges. I won’t cut fabric with anything but this ruler. The lip-edge latches on to your cutting mat or table to help stabilize each cut. No more slippy-slidey rulers! These mechanical-style fabric pencils come in a variety of color choices and use refillable erasers and lead. They are manufactured well and will last you forever. The best part? Unlike traditional pencils that need sharpening, your lead will always be sharp and make an incredibly accurate line. Throw away all your dull-pointed pins and buy these babies! 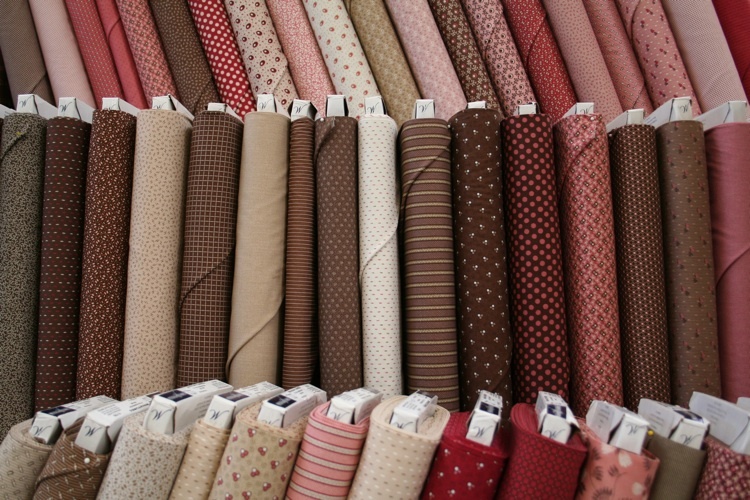 The fine tips are sharp and glide through fabric like a knife through butter. Unlike plastic-headed pins, the glass-heads won’t melt when you iron over them! They heads also don’t break or fall off like other, cheaper pins and the ⅜” lengths are pretty sturdy. They can still bend like all pins can, but you can’t beat all the other great features. Tip: don’t get the ⅞” length if you can help it. Although the tips are still sharp and the heads will stay put, the longer length has a greater tendency to bend with normal use. 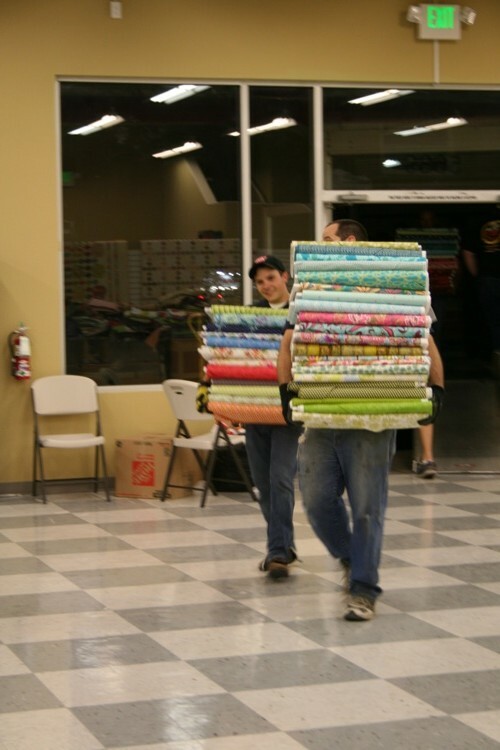 Ok, I know quilters just love making pincushions, but ladies, you have to up your game. These magnetic pincushions will save you time and energy. Rather than stick each pin into your cushion, you can just toss your pins in the general direction of the magnet and they’ll zip right on there. 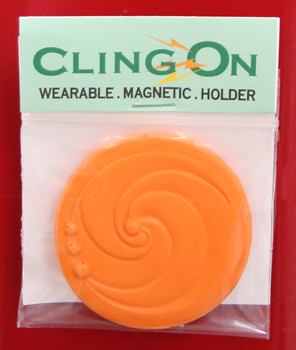 We have larger magnets for beside your sewing machine, or you can jump on the new trend and get one that clips onto your shirt for a mobile option. (Seriously, these things are a hot item. 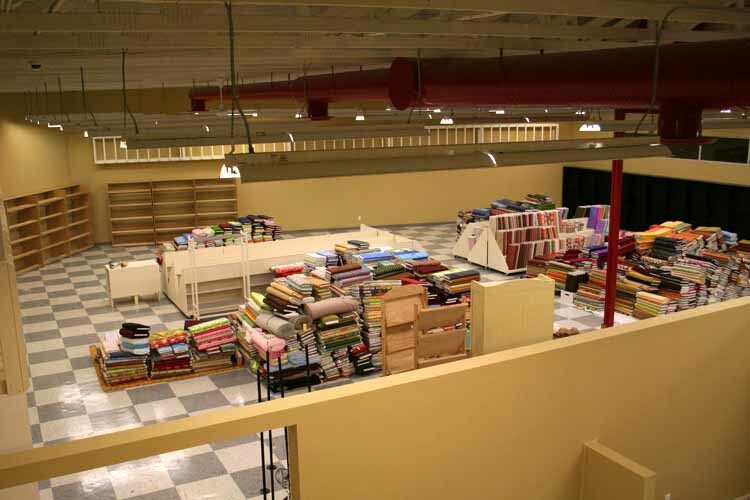 We sold twenty-two last Saturday. Twenty-two! They come in a milli on colors and make great gifts!) Beware! 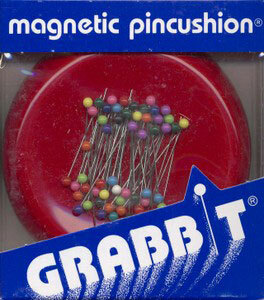 After getting spoiled by the magnet, you’ll start throwing pins at any pincushion, and they’ll just bounce right off the traditional kind. I do this all the time. It’s embarrassing. Simple. Easy. Reliable. We use these and you should too. 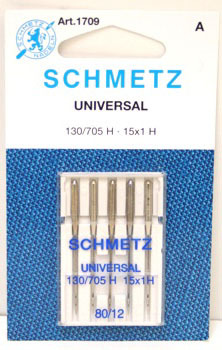 When was the last time you changed your needle? Can’t remember. It’s probably time to change ’em out. Just do it! 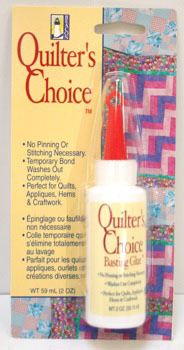 Whether you’re doing some applique or need to finish up that binding real quick, quilter’s glue is the answer — it keeps your materials together and washes out when you’re done. 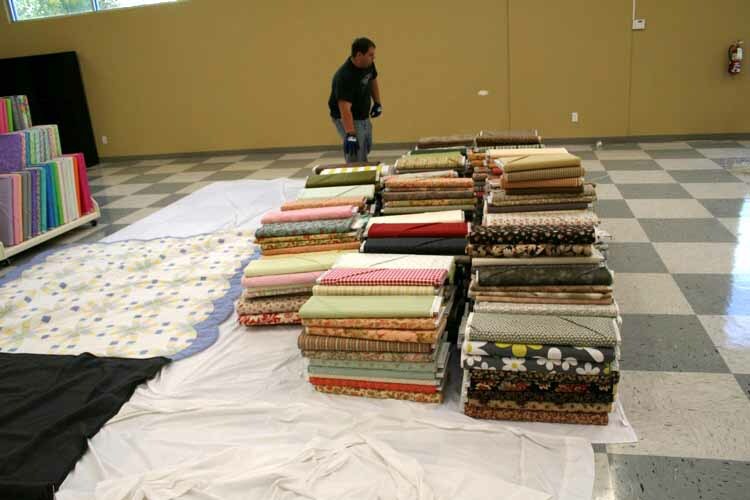 There’s a million different uses for this stuff and Quilter’s Choice is our favorite variety. 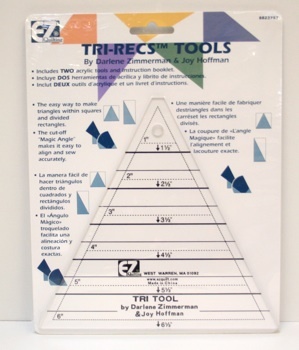 These rulers make all kinds of triangl es so easy. Half-square, quarter-square…you name it they make it. Don’t fuss anymore – you will honestly make PERFECT triangles every single time. 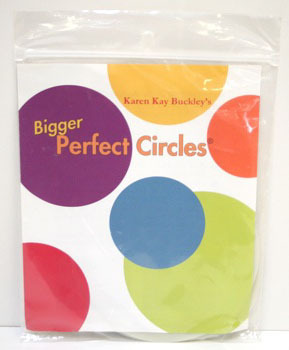 They come in 6-1/2” and 9-1/2” sizes and have easy to understand instructions included. And unlike thangles, you’ll never “run out” when you’re feverishly finishing up a project at 3 in the morning. 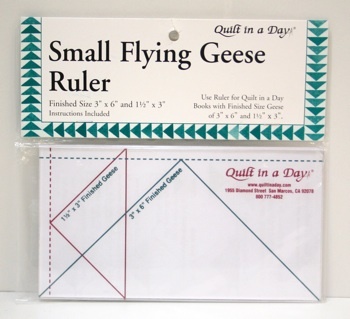 All you need is one ruler for the rest of your life — just don’t lose it! Already have all these? Check our our bonus list of the top five notions that tackle new techniques. These are Karen’s favorite. She uses them “liberally” (meaning by the dozen.) 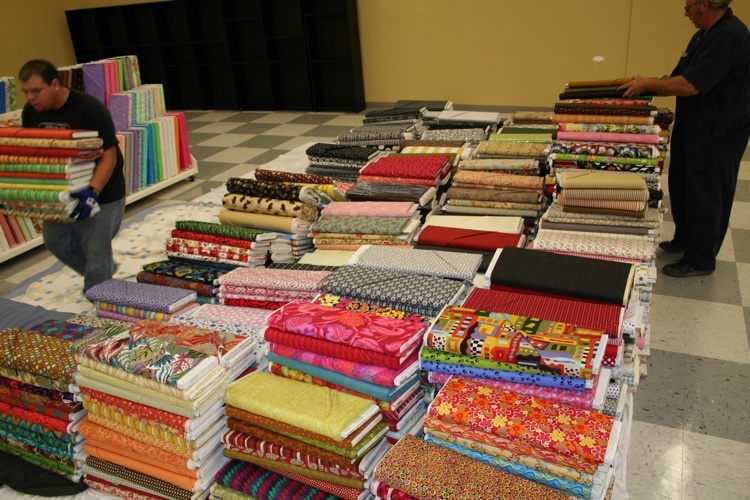 They have many uses but they’re perfect for custom, free motion long arm quilting. 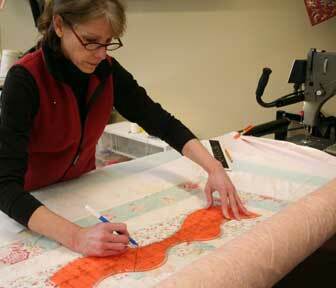 Karen can draw on a pattern or trace a stencil/ruler to get a guide for her quilting. Check out her full post on using the washable marker with a Sue Pelland Leaves Galore Large Ruler here. This is Della’s favorite sewing machine tool — it makes piecing 45 degree angles easier and more accurate (as the name suggests.) 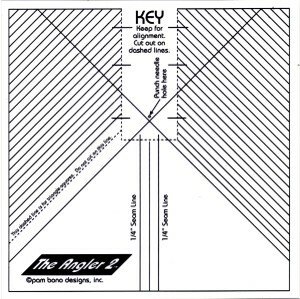 The lines on the clear plastic tool act as a guide when sewing half-square triangles, mitered corners, Flying Geese, Snowballs, or diagonal ends and corners. Have a lot of pieces to cut? This ruler is great, especially for using a triangle square up ruler. 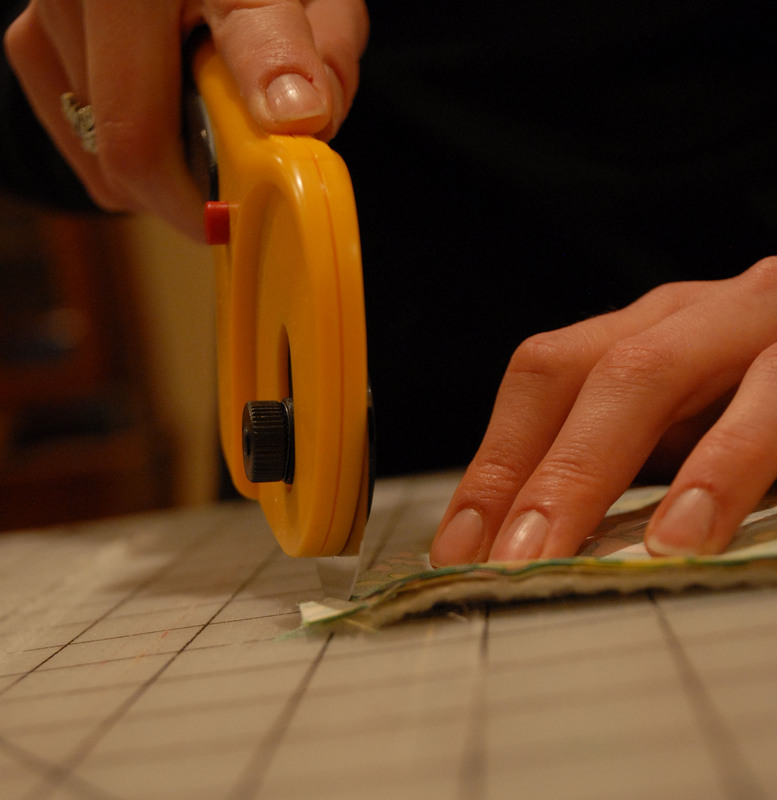 Just place the fabric and ruler on top of the rotating mat (maybe use some fabric grips to keep everything in place) and make your first slice. 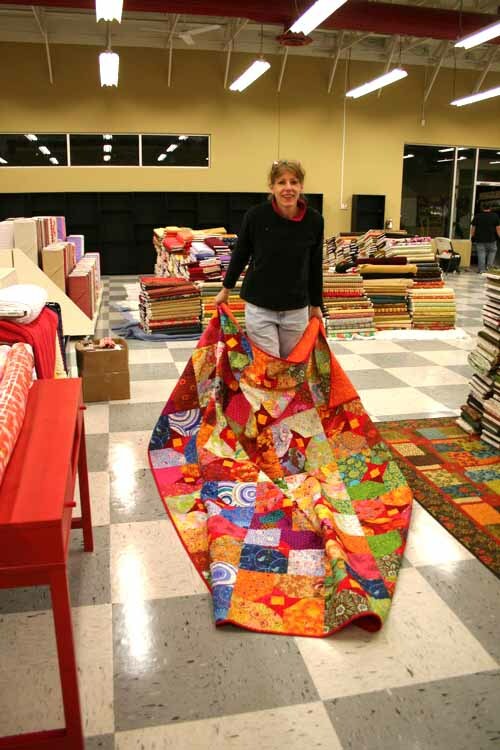 Then, just rotate the mat to cut all the way around without having to move your fabric. 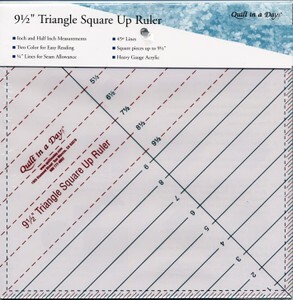 These three rulers take the guesswork out of making these advanced quilting techniques. Each comes with clear instructions to make your impressive blocks faster and more accurate. The name says it all. 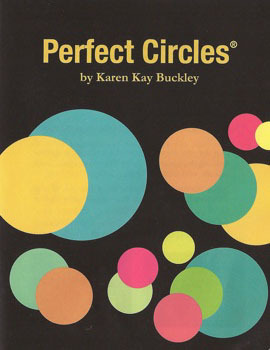 Each package includes 15 different circle sizes (a small circle or large circle option) for hand and machine appliqued circles.